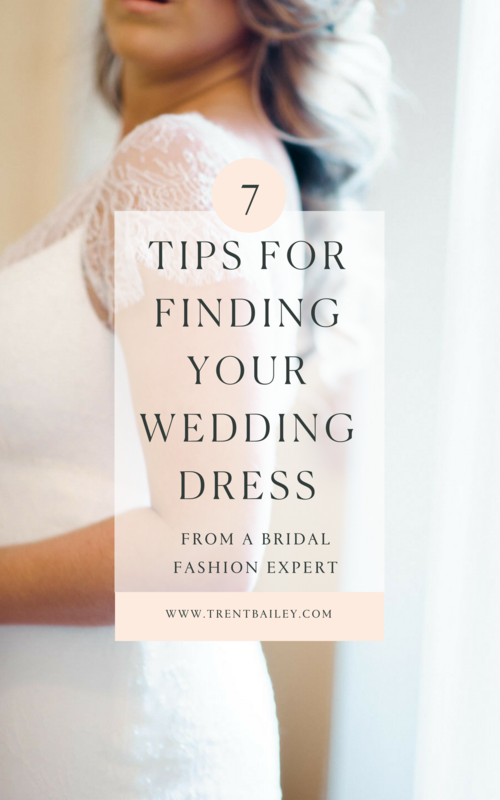 Today we are sharing advice from a dear friend of ours and an expert in the bridal fashion industry. After moving to NYC and launching Trent Bailey Studio in 2009, we soon began to make friends with others in the wedding industry, and Gabriella Risatti was one of those people that welcomed us with open arms to this big city but a close-knit industry. Gabriella spent a decade at Ralph Lauren and Calvin Klein before using her knowledge of the fashion industry and desire to create a unique shopping experience for brides, to open Gabriella New York. Over the years we have witnessed the incredible growth of GNY from their beautiful Meatpacking District location and now their stunning SoHo spot. With their growth, their attention to detail and impeccable customer service has only gotten better. 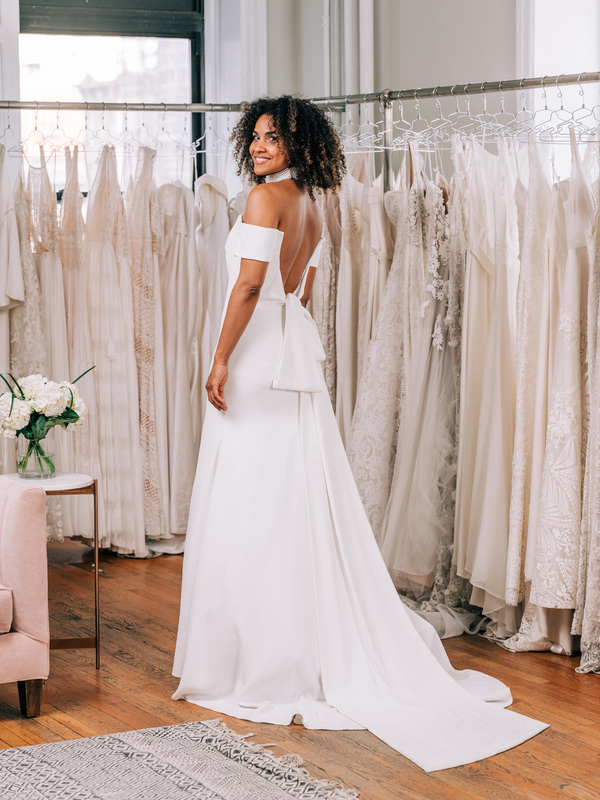 Below, Gabriella shares her advice for you to keep in mind when looking for your wedding dress. 1. Do your initial dress shopping alone. That’s right! I know this may sound crazy to some, but I highly recommend going to your first few wedding dress appointments by yourself. This allows you to focus on what you really want and how you truly feel about the different styles, silhouettes, fabrications, etc. without being swayed by friends and family. Spend some time figuring out what you’re looking for and THEN bring in your most trusted people to show them the favorites. Trust me on this! 2. Don’t bring more than two people with you to try on gowns. 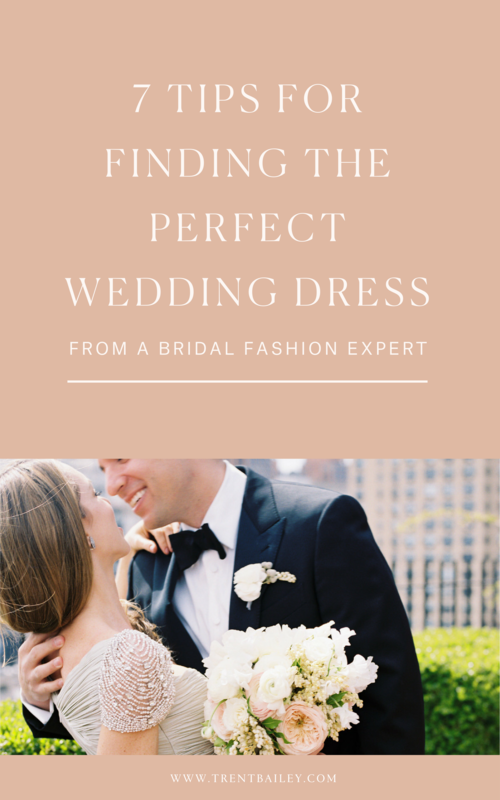 Once you have figured out some of the basics such as the silhouette or fabric you’re going for in your gown, then bring in your two most trusted allies. Bringing more than two people can quickly turn the appointment into a free for all, and you’ll end up walking away without a gown. Include a larger group for things like accessory appointments and shoe shopping! 3. Don’t go to more than three bridal salons in one day and take a lunch break! Trying on weddings gowns is really fun…and really exhausting–both mentally, emotionally and yes, physically. If you try to squeeze in too many appointments in one day, the experience can turn negative, and you won’t really be looking at the gowns objectively. Keep things fun by hitting two stores in the morning, breaking for lunch and then doing one more appointment after lunch. Then, it’s time for that glass of champagne and rest! You may think you know exactly what you want, but keep an open mind to trying on different shapes and styles of gowns. You may be surprised at how amazing something different looks on you! 5. Do your hair and makeup before you go dress shopping. You want to feel your best and taking the time to put yourself together will go a long way. Don’t roll out of bed and into the nearest dress shop. Chances are, you won’t love the way you look in any gown! We often hear that women want to get in better shape before dress shopping and therefore put it off. Each wedding dress is made to order, not sitting in a stockroom somewhere. That’s why they take so long to come in. If the gown comes in too big, it can always be altered, but if you wait too long to order, you risk not only paying a rush fee, but also the possibility of NOT actually being able to get the gown in time for your wedding!!! When you find your gown, buy it. Don’t keep going to store after store after store. You’ll make yourself crazy, the process will quickly become NOT fun, and it’s almost guaranteed you’ll come back to that gown anyways. Say no to FOMO and pat yourself on the back for making a decision. DID YOU LOVE THIS ADVICE?